MANILA, Philippines - Law enforcers seized close to ₱1 billion worth of shabu, while at least 18 suspected drug dealers and users were killed and around 800 surrendered since Saturday as the war on drugs continued. The police and Philippine Drug Enforcement Agency (PDEA) unearthed P900 million worth of shabu from an abandoned house in Barangay Culao, Claveria, Cagayan last Sunday. 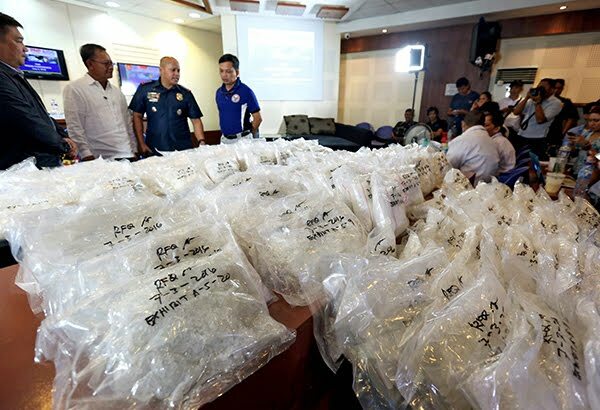 Law enforcers reported finding 180 ziplocked pouches, each containing one kilo of shabu with an estimated value of P5 million per kilo for a total of P900 million. These were buried in a knee-deep hole at the property owned by a certain Rene Dimaya, PDEA Region 2 director Derrick Carreon told The STAR. 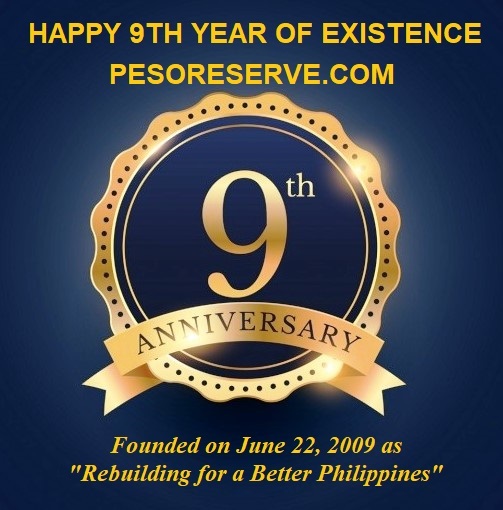 Julius Pascua, chairman of Barangay Culao, said Dimaya had abandoned the house a year ago. The discovery of the drugs in the property was tipped off to authorities following the arrest of four people in a drug sting at a resort hotel last month. In Parang town in Maguindanao, the military and the police seized ₱1.5 million worth of shabu from six drug traffickers arrested on Sunday. Suspects Majeed Baulo, Isidro Villaries Jr., Datukon Dalao, Palpah Baulum, Nestor Mariga and Abdullah Ladukah are now detained at the Parang Municipal Police office. The suspects were cornered in their hideout in Barangay Nituan in Parang by the municipal police and soldiers from the Army's 37th Infantry Battalion. Investigators found in their lair ₱1.5 million worth of shabu, guns and ammunition. The Parang Municipal Police will separately charge them on Tuesday with violation of the Philippine Dangerous Drugs Act and illegal possession of firearms. In Bulacan, seven armed suspects were killed and one was arrested in five anti-drug operations in the province over the weekend. Three suspects were neutralized in Meycauayan City and one each in the municipalities of Pandi, Calumpit, Obando and Doña Remedios Trinidad. Bulacan acting police director Senior Supt. Romeo Caramat Jr. identified the slain suspects as Bobby Lanoto of Meycauayan City; Randy Rusiano of Valenzuela City; Eric Tolentino, Ronnie Medina and Koji Harada of Obando; and Alfred Allan Abella of Doña Remedios Trinidad. One slain suspect remained unidentified as of yesterday. Pampanga's "top 9" drug pusher was also killed, while eight drug pushers were arrested in police operations. The slain suspect was Raffy Francisco of Sto. Domingo, Cabanatuan City. Two big-time drug dealers in Pikit town, North Cotabato were also killed over the weekend. Akmad Pananguilon of Barangay Inug-ug died from multiple gunshot wounds he sustained when he and his brother, Emran, engaged in a gunfight with a team from the PDEA that came to their house to arrest them. Emran Pananguilon surrendered to PDEA agents when he sensed that anti-drug operatives were also ready to neutralize him. Insp. Sindatu Karim, chief of the Pikit municipal police, said the Pananguilons opened fire first on the PDEA agents, provoking an encounter. In Pasig City, two suspected drug pushers, Roberto Amorosa and a certain Pogie, were killed in separate buy-bust operations. They sustained multiple gunshot wounds in the body. Meanwhile, at least 482 drug users and peddlers in Eastern Visayas surrendered as the Philippine National Police (PNP) intensified the anti-illegal drug campaign. There are at least 3,523 drug personalities listed under the drug watch list of the police and Barangay Anti-Drug Abuse Council in the region.